Learn how content gets ranked in the feed, and how you can make sure your posts are actually seen by the right people. Back in 2016 Instagram made the controversial move from a chronologically ordered timeline to one driven by their algorithm. Predictably enough, users hated it but soon got used to it, and pretty soon we forgot it had ever been any different. This acceptance was in no small part due to the fact that on the whole the experience was improved by the change. But this software-powered curation process can leave many creators out in the cold. Unless you’re publishing the kind of content that elicits lots of engagement your content can become invisible. Not surprisingly, the vast majority of marketing content falls into this category, because it’s just not as interesting as the stuff people genuinely want in their feeds. And this is a good thing for everyone – it’s a better experience for users and it forces marketers to up their game and stop polluting the internet with content no-one wants. So how can you optimise your content to maximise your chances of being seen? 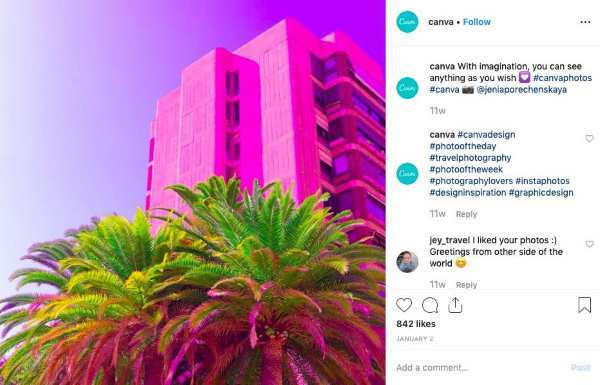 Fortunately, the Instagram team has made some recent attempts to be more transparent about this, starting with a press event in 2018 with some additional myth-busting through their Twitter account in January 2019. So, in short, you do see all the content from all the people who you follow. But this content is prioritised based on your connections and behaviour in the app, as well as the quality of that content. Let’s take a look at the main areas we need to work on to ensure we get seen when we publish on Instagram. Whilst we don’t see any obvious favouring of accounts who publish both story content and feed posts, the fact is you will be prominent on the platform by doing both. 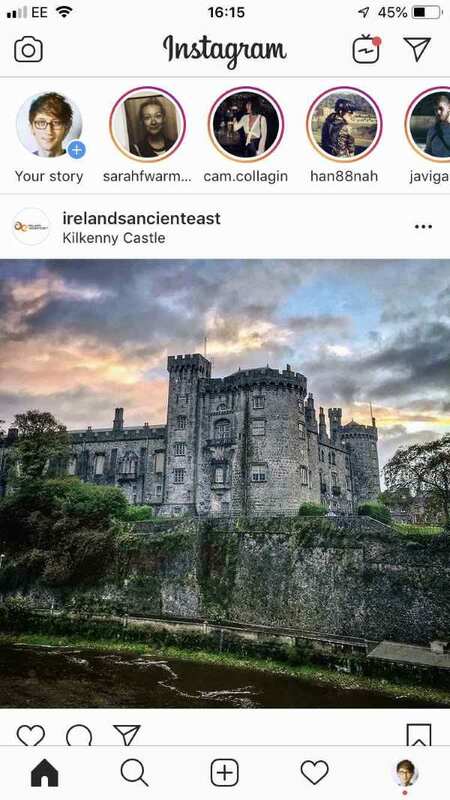 Stories has been a hugely successful addition to the Instagram experience with 500m users, and this aspect of the product is prominently atop the home screen, with the most regular publishers pretty much the first thing you see when you open Instagram. 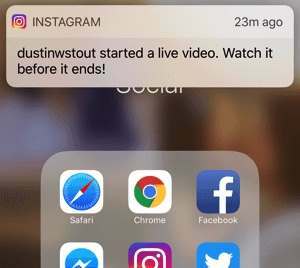 …but many users get notifications on their phone when someone they follow goes live – even if they have previously disabled notifications for more common things such as likes and comments on their posts. If you only take one point away from this article make it this one. The most simple way to ‘beat’, ‘hack’ or otherwise garner favour with the enigmatic, all-powerful Instagram algorithm is to post content that people love, regularly. Simple, right? To break that down let’s talk about quality first. The way that most social media algorithms are believed to work is through testing and validating content quality at small scale, before showing the content to a wider audience. 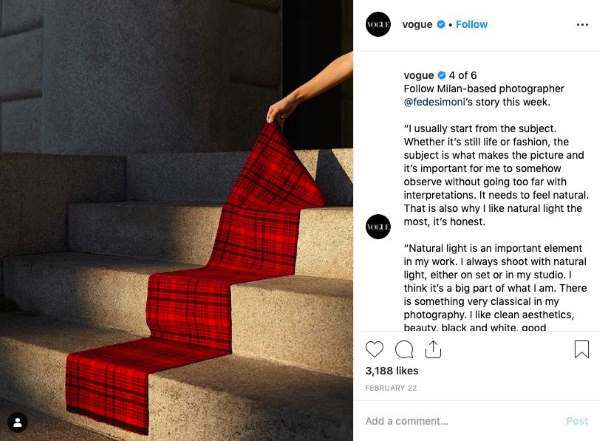 In the seconds following publication of your Instagram post, the algorithm is showing it to a small percentage of your followers who are currently online and most relevant/connected to you. From this initial exposure, it determines how good the content is i.e. how much engagement it drives, and further exposure is based on that. So good content will get seen by a large proportion of your followers and boring content by a fraction of them. This has an effect over time too, not just around each post. If your content is consistently boring and no-one engages with you there are less people to whom your account is relevant, and even your best posts may not be shown to them in the first place. 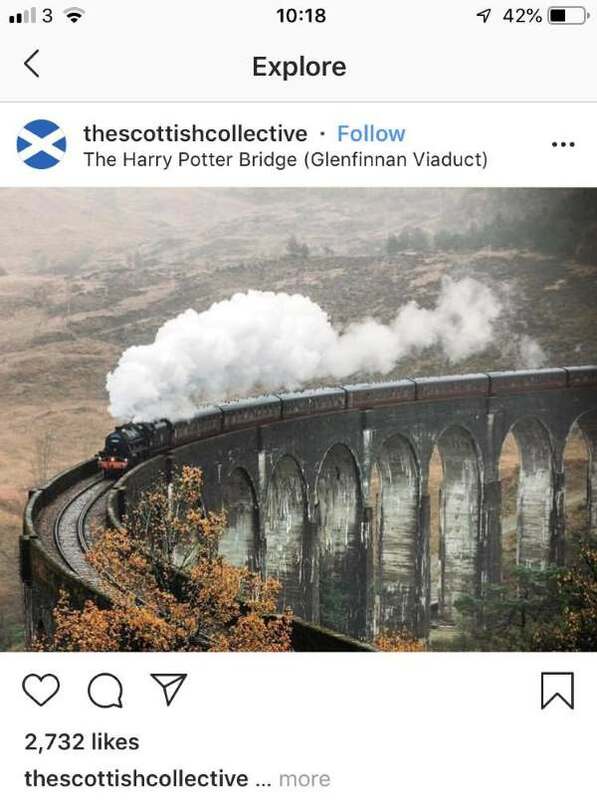 On the other hand, if you’re consistently publishing engaging, interesting imagery there will be a number of people to whom you are deemed relevant and who will see your content the second you post it, if they’re online, regardless of its perceived quality. In light of the above the ideal frequency of posting would be the same as the frequency with which, on average, your audience opens the app each day. For most brands this would be 2 or 3 times a day. The huge caveat here, of course, is to maintain quality. It’s better to post 3 incredible posts per week than 3 mediocre posts a day. Quality trumps absolutely everything. Again, if the algorithm is looking for early engagement, let’s give it exactly that! Pods are a very simple but effective way of getting your first few likes and comments for a post, to improve its chances of going further. A pod is just a group of people with an informal agreement that you will engage with each other’s content. These can be hosted as Instagram private messages, but also take place on Facebook, WhatsApp, Telegram and Slack. Companies should be mobilising their workforce as the ultimate Instagram pod, reciprocally engaging with employee content to drive more engagement for everyone. There are some places online where you can find pods yourself, such as https://www.reddit.com/r/IGPods/, although many Instagrammers simply approach like-minded people or friends to get these groups started. 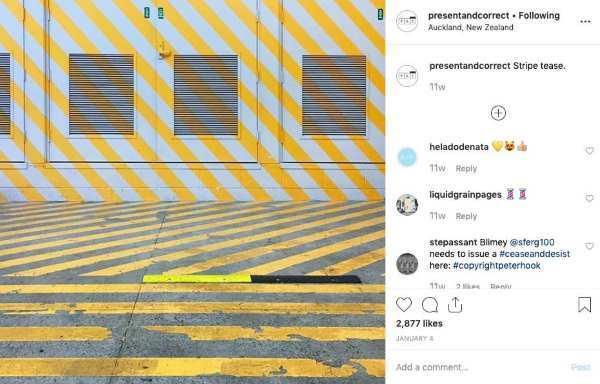 A much-misunderstood mechanic in the main social platforms, the hashtag has become a central driver of content tagging and relevance on Instagram. Using the right hashtags can make the difference between boom and bust. It’s crucial to make the distinction here between how hashtags are used on Instagram and Twitter. On the former, they’re a way of tagging the themes – hobbies, interests, activities, places, cultural references – present in the post. On the latter, they tend to be more tied to what’s happening now – an event, special day, TV show, news story – the temporal context of the post. The most effective way to use hashtags on Instagram is to start by identifying 20 to 30 relevant ones to you and your content that you want to be known for. Focussing on these over time is likely to build up connections in relevant places and give strong signals to the algorithm about your content. There are no hard and fast rules, but the general consensus is that you should aim to find ones with not too few and not many posts. High-use, generic hashtags like #love (1.5bn posts) aren’t going to achieve anything, whilst something like #gardeningtips (185k posts) is perfect if you’re a landscape gardener looking to grow an audience. It’s all about relevance. Each time you post, you will use these, again and again, to reinforce what you’re about. A simple example of this would be a landscape photographer. They would almost always use #landscapelover (2.3m posts) in their posts, but only #sunset_today (152k posts) in ones containing sunsets. As the graph below shows, there does seem to be a sweet spot of around 9 hashtags used per post, so when publishing on Instagram ask yourself, what are the 9 or so most relevant hashtags I could use in this post that would connect me to the right people, and help the algorithm learn what I’m about? use bold colours – and keep your palette simple. A post with just one dominant colour stands out a lot more than one with lots of clutter. single focus – where possible keep your posts about one thing. Great photos usually have a single subject or a very simple story to tell. Avoid cluttered images as these don’t stand out and people can’t work out what the image is about in a few milliseconds. use geometry – just as dominant colours make an image pop, so do striking lines and shapes. Think about how you can better arrange your images to stand out in this way. use filters sparingly – or preferably not at all. Instagram filters are so 2015, and very few brands still use them. A photo with a heavy Ludwig filter on it looks pretty amateur today. Of course many images on Instagram have been edited in some way, but usually in professional photography tools such as Lightroom (worth learning if you’re serious about this stuff) or the vast array of brilliant editing apps available on iOS and Android. 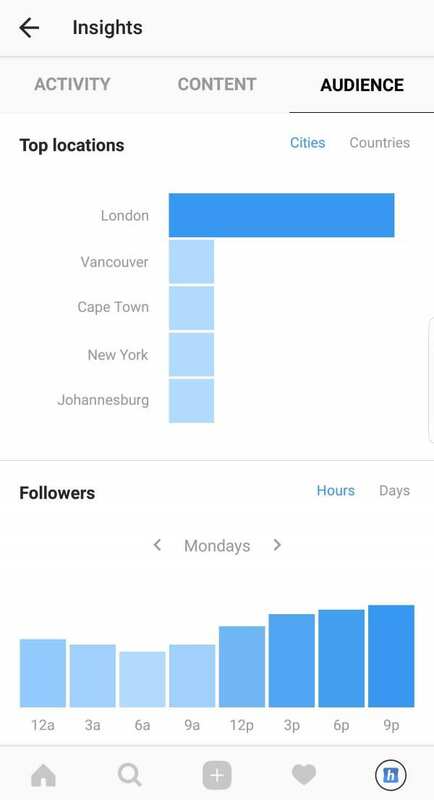 One of the best reasons to convert your Instagram profile into a business one is that you get analytics on your audience. There probably aren’t going to be any surprises here, but it’s important to ensure you know where your audience is located (i.e. in which time zone and language) and when they’re online. Whilst it’s tempting to only post at the peak time, remember that people use Instagram differently. Make sure you reach the people who only fill a boring morning commute with it, as well as those who idly browse on the sofa in the evening. This is why, if possible, 3 posts per day is a great way to reach your different types of fans. In conclusion, success on Instagram is a bit like making a great dinner. You can apply all the hacks and tricks during the process of building it, but unless the ingredients are great to start with, you’ll always fail. Be single-minded about focussing on quality of content, and check that you’re not just pumping out marketing. Create truly worthwhile images and videos that people out there genuinely want to see, and you will grow a relevant and valuable audience in the long-term. This post was written by Will Francis, Social Media Consultant, and leader of Emarketeers’ Instagram For Business training course.